The biggest challenge facing broadcasters is how to embrace mobile phones at both ends of the content spectrum, for creation and viewing, rather than rushing headlong into immersive TV for the big screen. This was the principal take home message from this year’s conference season culminating in IBC 2017 last month, emphasized by Irish broadcaster RTE at an event there. According to RTE’s head of innovation Glen Mulcahy, any broadcast organization not getting into the mobile space urgently is effectively signing its own death warrant. This applied equally to content creation and consumption. “Smart phones can be used as a viable content creation tool for broadcast and more and more becoming an actual content platform in its own right,” said Mulcahy. The BBC agreed, but with a caveat. Its Head of Product, Systems and Services for its northern England region, Tim Sargeant, conceded that the corporation lacked the money to keep up technically with the big Internet players, especially Google and Facebook. But as most broadcasters cannot beat them they should join them and exploit their platforms. Therefore the BBC was encouraging production teams to go live from Periscope or Facebook, while RTE said it was also urging its journalists to use mobile phones as content creation tools. There was a downside in that the social media platform can get most of the credit and even attribution for the content. This also means that broadcasters lose control of the eyeballs and potential for monetization, although this is irrelevant for the BBC in the UK where its income comes from license fees. “We don’t tend to get people breaking away from YouTube or Twitter back to the BBC site,” Sargeant conceded. The need for a push towards mobile phones also emerged strongly from the latest annual Pay TV Innovation Forum report published by security and user experience vendor Nagra and media research firm MTM, although with a focus on viewing rather than content creation because many pay TV operators are largely distributors. 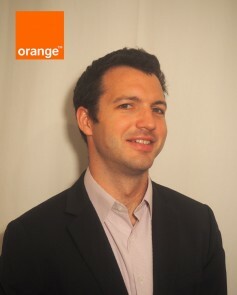 Laurent Perchais, Orange’s Head of Strategy, Content Division, believes Telcos are well placed to bring together linear TV and OTT, with mobile services presenting a great opportunity. There were two aspects to this. Firstly, operators needed to go further than just reach smart phones with their content but should also develop “mobile-first” services designed from the ground up for these devices as part of their strategy to target younger viewers. Secondly mobile-only services had a big role to play in some developing markets where fixed broadband connectivity is patchy and also where many potential customers, often without bank accounts, cannot afford to pay for full blown pay TV packages. Pay TV executives in Latin America and Asia Pacific in particular saw an opportunity to develop low-cost content services and innovative payment solutions to address the large number there of low-income consumers, who currently cannot afford, or do not have the means of paying for, a pay TV service. So there innovation in payment methods was needed as much as in content creation and delivery. More generally the report highlighted mobile TV as part of the solution to challenges facing pay TV operators at the most disruptive time in their history. These challenges fall under three headings according to the survey, proliferation of OTT services, changing consumer behavior and demand, and content piracy fueled by illicit streaming devices. Indeed 67% of executives surveyed agreed that “competition from subscription OTT services will have a negative impact on the pay TV industry, pushing down prices and increasing customer churn”. Amazon was seen as by far the greatest threat among the big Internet players, largely because it alone is in a position through a combination of deep pockets and large share of the online retail market to bundle video almost as an add on to existing customers. Operators are not worried by Netflix anymore because that is seen as a single play service confined to sVoD, while Amazon is pushing towards live services carrying premium content and can pursue a model with heavy cross subsidies no pay TV operator can match. Of course given that Orange is a Telco itself, Perchais probably would say that, but the sentiment is shared by some legacy pay TV operators. At the same time established operators did see an upside in that OTT offered a general opportunity to give customers what they want at any time wherever they are, which again comes back to mobile. It also means exploiting mobile devices for content creation, because this will extend scope and help with that objective of giving users what they want. The one challenge where the only upside is that new technologies may mitigate the threat is content piracy, which operators see as a problem that is growing once again in the OTT era. In the survey 50% of respondents think that it will lead to greater pressures on the industry over the next five years, compared with 41% a year ago. A major issue here is the loss of visibility over the extent of the problem, which was easier to measure in the old days of Bit Torrent. Such measurement is harder now that the piracy has shifted onto IPTV and OTT platforms such as the Kodi box. The one hope is that new technologies, including advanced network forensics and watermarking, will help restore some of that lost visibility over piracy as well as providing a foundation for action including near real time take down of illicit streams.